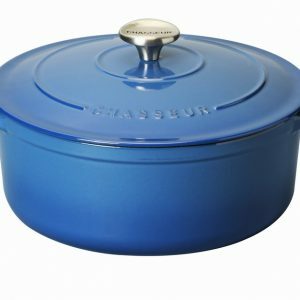 Our new casserole design incorporates larger, more ergonomic handles for safer lifting, a more rounded, sensual base for easier use, a re-designed lid that highlights the brand and its French origin, and finally, stainless steel lid knob as standard. The ultimate in slow cooking – but also so much more – these traditional styled, cast iron round casseroles are far more versatile than just for slow cooked casseroles. The cast iron body distributes the heat evenly and they can be used on all types of hobs, including induction so they can be used for anything you need on a hob or in the oven. A special design feature on the underside of the lid means condensation drips down during cooking ensuring your end result is moist and effortless. Double enamelled for a durable and easy to clean finish – they are even dishwasher safe. 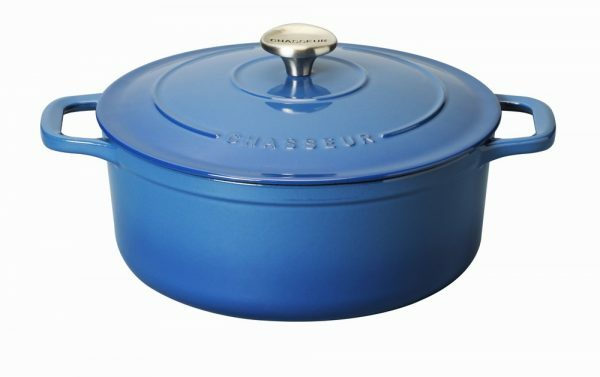 All Chasseur cast iron cookware is made in France, and comes with a lifetime guarantee. 3.8L Capacity.